The casita is private and quiet lane. It comes with a fire place and a wonderful comfortable new mattress with cozy bedding. The outdoors offers various places to walk with hiking trails close. . It is less than a mile from Canyon Road which has many places to dine and shop. It has antique doors attached to an adobe wall that is a pleasure to view. The casita comes with most items that a renter needs as well as a laundry room. It has a new TV and internet. Mickey's Casita, Even though he no-longer lives there he loves going back now and then. It is warm and private. Its quiet and yet close to town. It is sweet and has the feeling of being loved. The laundry room is shared with the casita even though everything else is separate. It has the highest speed available in the area. The kitchen comes with most items that one will need. There are many activities close by. 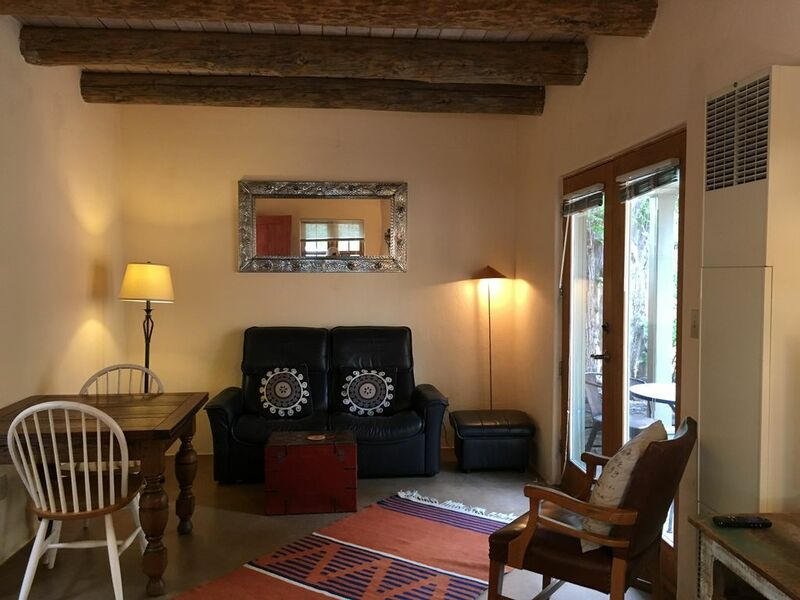 It is easy to use the casita as a place of rest and enjoy all that Santa Fe and her area has to do.